We can probably all pretty much agree that your present business marketing must continually evolve to remain competitive and relevant. 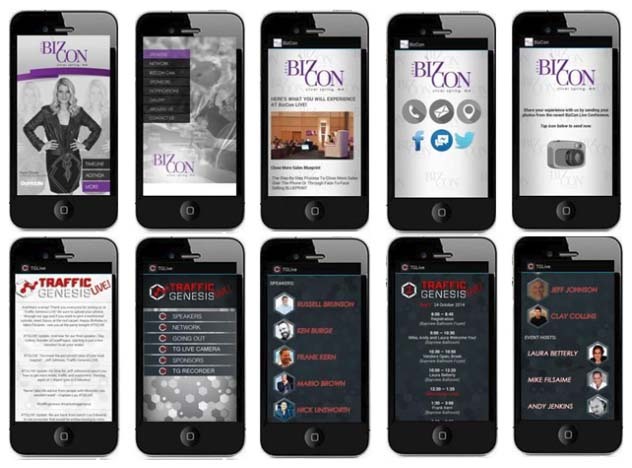 The skyrocketing growth of mobile devices has meant our websites must be mobile responsive and mobile friendly. But in today’s competitive world, you must think beyond just having a mobile responsive website. A mobile responsive website does not put you or your brand on the all important Apple and Google App Stores like having a Mobile App will. Today we live in an era when people, especially the younger crowd, are continuously using their mobile devices and mobile Apps to browse. If you aren’t there, then you will end up missing out on valuable opportunities. A mobile app enables you to achieve results you simply cannot get only depending on a mobile-friendly website. Once your brand is searchable in the App stores, you have the potential to reach prospective buyers and sellers 24/7 using a whole new way of searching that many businesses don’t even think about. Yes, you need to be found on Google, Bing, and YouTube, but what about in the Apple and Google App Stores? There is a HUGE audience searching and using mobile apps every single day! Boosts interest: Creating a mobile app for your business can build an easy platform for you to showcase your services to your potential customers and clients. Your clients and potential new clients can get all the necessary information on one stop whenever and wherever. Updating the content of your app can give them a quick and easy way to see your latest offers. This will actually excite your customers and show some interest to check out your regular updates, like your blog. Enhances engagement and retention: Try to engage your clients and customers with great deals or discount offers and incentives in real time. Using their profile information and location can help to customize your offers and make them more attractive too. Get more leads: By having a personalized Mobile App you will be amazed at how many people discover you by just searching in the App Stores, 24/7. Offers support: A mobile app enables you to offer basic instructions for your clients. Creating a mobile app can make it easy to connect you with your clients and customers and provide necessary information regarding your services, price changes, etc. Ensures ease: Users wish for a fuss-free experience, whether they access your site, your App, or they do it on their PC. This will only be possible with better planning and clear vision. Your customized Mobile App will be designed in such a way that features what your users want. Furthermore, your personal Mobile App will strengthen your brand and give you a competitive edge with your clients that many of your competitors just have not jumped on yet. Push notices: Boost awareness of whatever you want with unlimited push notifications that are included with all of our Mobile Apps. Push notices are ready 95% of the time. Email is lucky to be ready 40% of the time. There is nothing better than a your own Mobile App to facilitate all aspects of work and social activities. The above points are just a few of the advantages that having your own Mobile App will create. In addition, having a Mobile App will help you boost your business and achieve greater success in the market. So, are you ready to build a Mobile App for your business? Use the short form below to request more information and we’ll send you all you need to know in order to make an intelligent decision about whether having a Mobile App is right for you or not. Be sure to Find us on Facebook and like us for a chance to win a free mobile app for your business!